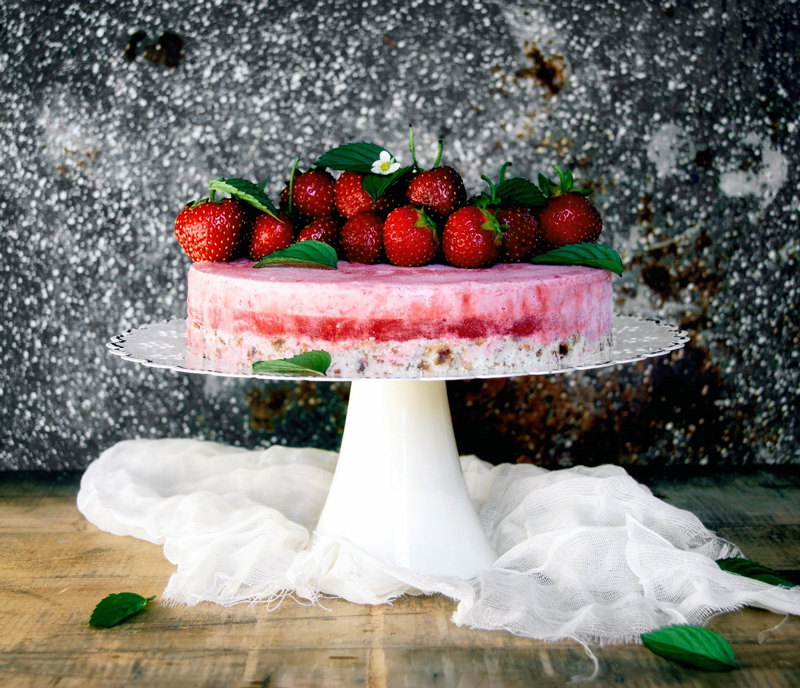 This gluten free & raw strawberry cake is made with almond pulp, fresh strawberries, and dates. 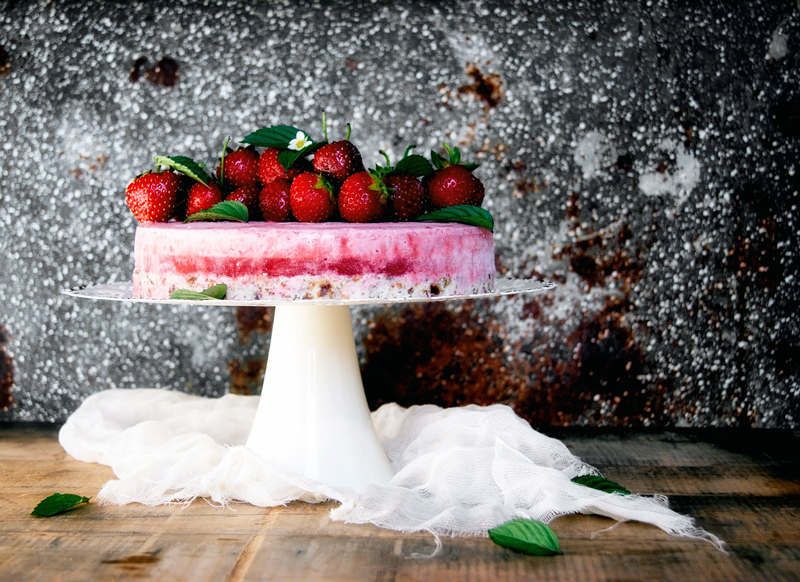 Perfect for summer birthdays, and a bit like an ice cream cake, this is a total stunner. Let’s forget my sorta ban on swearing for a moment, because this raw strawberry cake is bitchin. It doesn’t need any heat, guys! Never mind baking something in this heat, I don’t even want to turn the stove on. A super fancy raw cake with all the strawberries is the best thing. Even better, because it’s pretty minimal effort. You just need to wait a bit while each layer freezes. I suggest taking a dip in a neighbourhood pool while you wait (are the neighbours home? Who knows!) and seeing what happens. Maybe you’ll make a friend and share some cake. 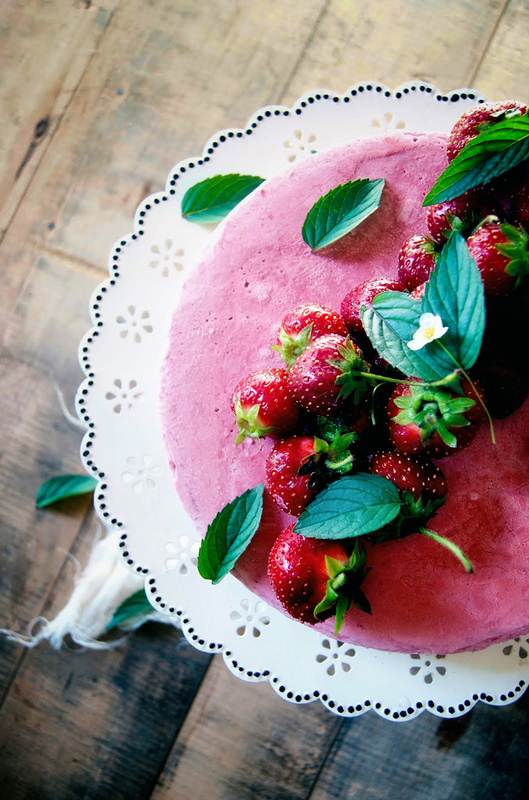 Strawberry season is almost over now, but the less perfect berries work well in this cake. I imagine you could substitute other berries or fruit – I haven’t tried yet, so if you do, let me know how it works out! Raspberries would be pretty phenomenal, and I think peaches might be nice too. 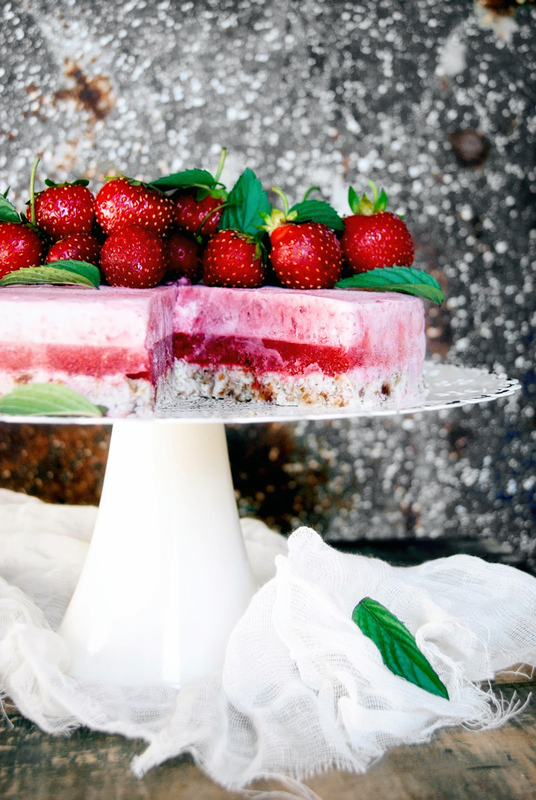 I suggest serving this cake with strawberry sparklers to get that seasonal theme really going – and if you’re drowning in strawberries, I have plenty of healthy strawberry recipes for this time of year. A combination of fruits, like a raspberry middle layer and a peach topping, would be pretty great. The base is crumbly almond fun time, the centre tastes like tart frozen strawberry lemonade, and the topping is sweet and creamy strawberry goodness. 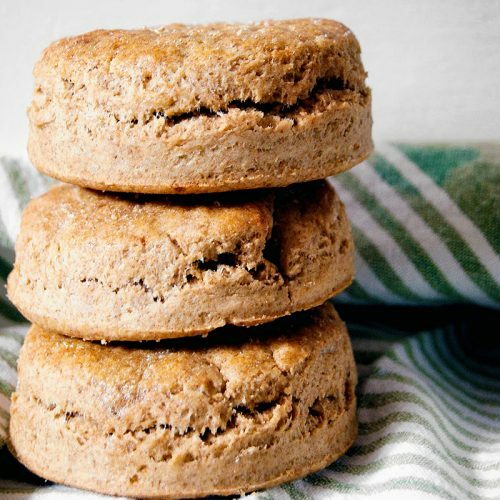 The base is sweetened only with a few dates, and the other two layers use an (optional) tiny amount of honey or agave. 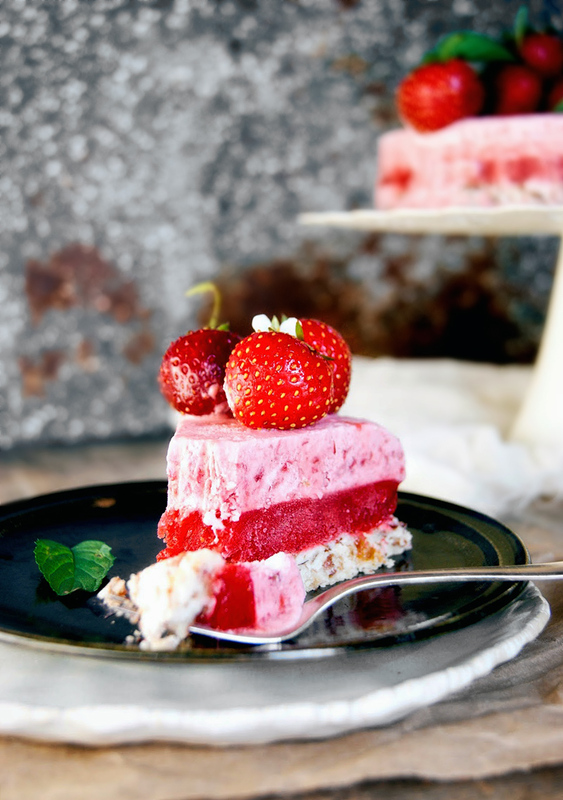 A spring form pan is pretty necessary for this raw strawberry cake. I have this weird push-up thing, and I had a very hard time indeed trying to get it out of the stupid cake tin. It’s not huge, this one is eight inches, but you don’t need much. Line the base of a small springform pan with a circle of parchment paper if you want to remove the cake completely from the cake tin. If you have a food processor, blitz the dates until they're smooth, then add the other ingredients and pulse until combined. If you don't have one, mash the dates with a fork until smooth and then mix the other ingredients in by hand. It should hold if you press some together between your fingers. If not, add a little water until it does. Press into the prepared cake tin and freeze for about half an hour, or until solid. Mash everything together with a fork, or blend in a food processor/blender for thirty seconds. Pour onto the frozen base layer and freeze for another half hour, or until solid. for very long this time. Crush the strawberries and honey, if using, with a fork and gently mix into the coconut cream. Pour onto the frozen centre layer and freeze again for half an hour before eating. If it's been in the freezer, let it thaw a bit in the fridge for 20-30 minutes before serving. Top with extra strawberries and mint for ultra prettiness. 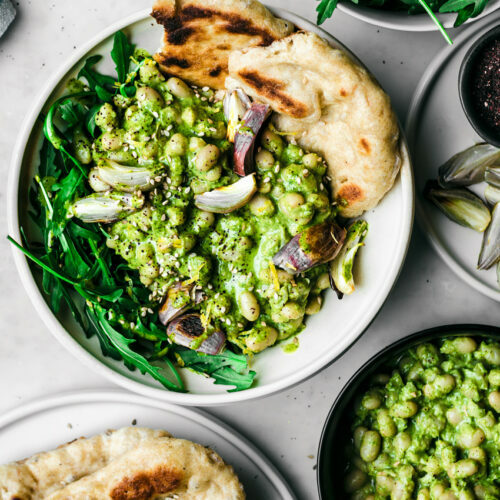 Yes, this looks like a three part recipe, but it's very simple! It's pretty hard to mess up. 1. If your dates are brittle, soak in warm water for at least an hour before using. 2. The sweetener is optional, but I like adding it. Two tablespoons of honey in a whole recipe is nothing. 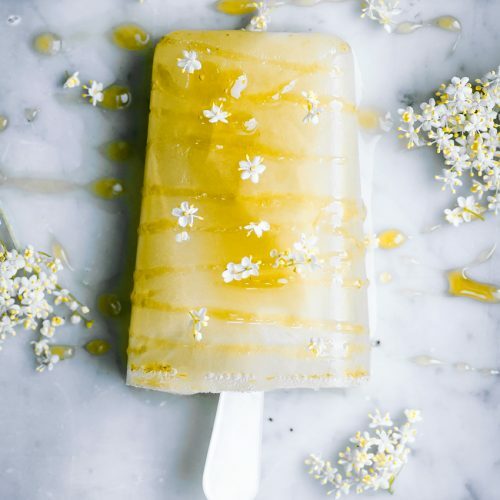 Stick with agave if you want it to be the raw-est.